We come in working like a stone, we leave it smelling clean like a lily! Save money—Instead of hiring someone full-time to do the commercial cleaning for your Edmonton business, we only clean according to your schedule. Custom cleaning programs—We will work with your budget and recommend how often your space should be cleaned, and where our employees can focus, to give you the best value for your cleaning dollar. Regular cleaning—We can adjust the schedule to fit your needs and we can clean your space on a daily, weekly or monthly basis. Don’t want us there during operating hours? That’s alright. We can come in the evenings or on weekends. Improved safety—A clean, well-organized space means fewer chances for worker injuries. No product cost or storage—We use our own professional equipment and eco-friendlier products, so you don’t have to worry about storage or ordering of product. Stonelily’s complete commercial cleaning in Edmonton means you can rest easy knowing your business will always look its best. 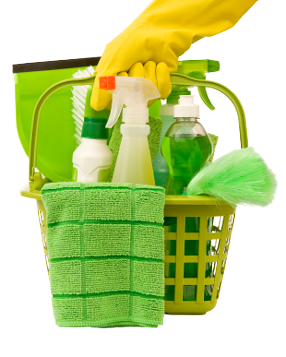 We work quickly, effectively, and use the best cleaning practices and products available. With a dedication to professionalism and convenience, Stonelily , impeccable and fair in all circumstances. Stonelily Cleaning has built its foundation on four core values that have earned us our reputation as dependable providers of commercial cleaning in Edmonton. At Stonelily, we’re dedicated to providing fast, reliable and detailed commercial cleaning for Edmonton and the capital region. Whether you require cleaning for your home or office, we respond quickly with efficient, effective cleaning. We believe in developing strong relationships with our customers, accommodating your specific cleaning needs, and making sure all our customers are satisfied with every cleaning job. Stonelily is built on providing a convenient service to our clients so you can focus on your business rather than cleaning. We work with your schedule and to your needs to ensure you get the smoothest, most convenient commercial cleaning in Edmonton possible. Our dependable staff is trustworthy, reliable, and punctual. We always make sure we get the job done right, and are diligent about maintaining the highest standards in commercial and residential cleaning for the capital region.